Each year the staff at Androscoggin Home Healthcare + Hospice chose a local non-profit to be their Community Partner. As such, Androscoggin employees do what they can to support and meet the needs of their Community Partner. 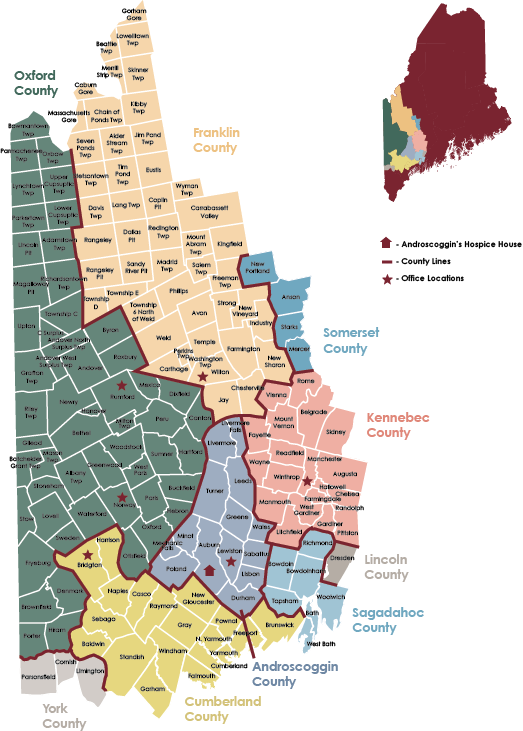 Androscoggin President + CEO, Ken Albert, explained: “as a non-profit, we’ve often got our hand out asking for donations and support from our community, but if we want to be a good community partner, we need to lend a hand to others as well”. The charitable organization Androscoggin chose to support for 2018 is New Beginnings, based out of Lewiston, which has been serving runaway and homeless youth and their families since 1980. New Beginnings expressed a need for New Apartment Kits. They help young people get on their feet and move into their first apartment, but they often lack the basic necessities like cutlery, dishes, towels, cleaning supplies, and more. To help, New Beginnings assembles New Apartment Kits to give away to help their youth make a comfortable home for themselves. Pictured: Rachel Spencer-Reed, New Beginnings Director of Development and Community Services, Kristina Saunders, Sherri Jordan, and Nikki Withrow of Androscoggin, and Chris Bicknell, New Beginnings Executive Director. 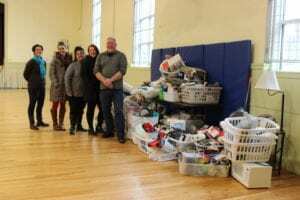 To help, Androscoggin staff and volunteers collected items for the kits, and the turnout was huge! It took a brigade of staff to help load all the items into multiple cars to be delivered to New Beginnings. New Beginnings estimated they can assemble at least 25 New Apartment kits from the items collected by Androscoggin.